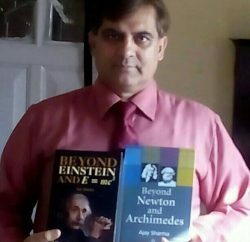 Shimla: Ajay Sharma, Assistant Director Dept of Education, Govt of Himachal Pradesh, who has challenged generalization of Archimedes Principle, Newton’s Laws and Einstein’s E=mc2 equation, demanded the government to conduct an open seminar on his research work. 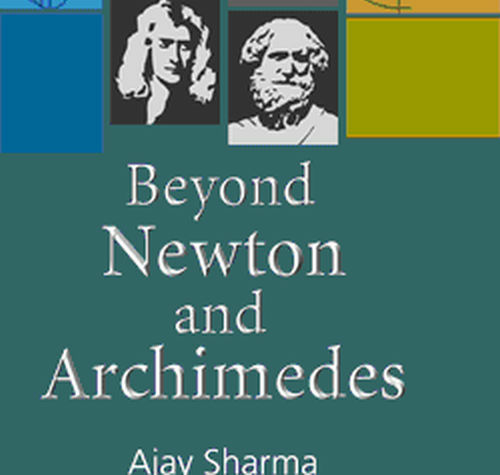 Sharma claimed to have modified Newton’s Einstein’s and Archimedes law taught right from school level in international journals and conferences. The generalized laws have been published after peer review by American/ European scientists, Sharma claimed and further added that the merit was only the reason for publication. 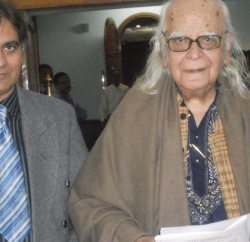 Sharma stressed that his work is capable of making India mentor of world in fundamental laws. Ajay Sharma has presented his research paper 95 times in different international conferences. Beside that his 55 research articles have been published international journals. He also has two books viz. Beyond Newton and Archimedes and Beyond Einstein and E=mc2 on his name. Issac Newton have given three laws of motion in the Principia in 1687. In the Principia at page 19-20. Newton gave second law of motion in ENTIRELY DIFFERENT FORM i.e. Newton NEVER gave F=ma. The law we teach as Newton’s second law of motion (F=ma) was given by Swiss Scientist Leonhard Euler in 1775 i.e. 48 years after death of Newton. It can be checked from website of Mathematical Association of America Washington, www.eulerarchive.maa.org. The index number of Euler’s paper is E479, and second law of motion (F=ma) is given at page 223. (ii) Newton’s Third Law of motion incomplete or half true. Limitations: The law considers only ‘body’ but not the inherent nature and characteristics of body. If we throw at wall the rubber, wool or sponge balls with same action. The according to Newton, all the three balls must possess equal reaction and rebound with same speed. But it does not happen. The reason is that the nature and composition of all three balls is different, which is not taken in account by Newton’s law. Thus the third law of motion is generalized to take in account the inherent nature and characteristics of body. It makes law complete. Limitation: The principle does not take in account the shape of body when it floats, rises or sinks in water (say). It only takes in account the density of body and medium. Let a sphere of steel 5kg and twisted sheet of steel of mass 1kg are thrown in drum filled with water. Archimedes principle states that both the bodies must fall ‘equal distances’ in equal intervals of time. But the sheet falls slowly. Thus there is contradiction. Hence 2266 years old Archimedes principle is generalized, so that it may take in account the SHAPE OF BODY. Einstein had derived equation E=mc2 in his September 1905 research paper in the German journal Annalen der Physik at page 639-641. It is bitter truth that paper was published by Editor without any review. Limitations: In the mathematical derivation Einstein had taken special or handpicked values of parameters (mathematical variables) to derive E=mc2.Einstein had neglected billion values of parameters arbitrarily. If all the values are taken, then contradictory results are obtained. Consequently Ajay Sharma had given different equation dE=Ac2dm, hence Einstein’s unfinished job is completed. Sharma’s equation is general equation and Einstein’s equation is special case. Ajay Sharma can be contacted on his Mob (0) 94184 50899.